Student, Doctor of Pharmacy, Faculty of Pharmacy, University of Sargodha, Central Punjab, Pakistan. Acute bacterial meningitis (ABM) is an important cause of childhood mortality and those who survive are at a higher risk of developing permanent neurological disability . It is a major cause of morbidity and mortality among infants and children below the age of five years. Three main organisms account for over 90% of the world's cases of meningitis. These are N. meningitides, S. pneumoniae, and H. influenzae type b (Hib). The World Health Organization (WHO) estimated that about 1.2 million cases of bacterial meningitis are reported worldwide annually and of those 135,000 result in deaths. ABM is among the top 10 causes of infection-related deaths worldwide. Meningitis is a major cause of child mortality in Pakistan. The fatality rate in India and other developing countries has been reported as 3-5% in children’s. Data from Pakistan had also shown complication rate of 57% in children with Acute Bacterial Meningitis. A study performed by Fayaz et al. reported that among 192 patients admitted to Agha Khan Hospital, Karachi, 29.7% were diagnosed with ABM. Every year an estimated 23,000 children die of bacterial meningitis in Pakistan. Worldwide two third of the cases of meningitis occur below the age of 15 years so the major burden of this disease is being shared by the pediatricians [1,2]. Clinical presentation of ABM usually differs with the age of patients, the infecting organism and the duration of symptoms. In children, the diagnosis of ABM is difficult and challenging because of non-specific signs and symptoms. Definitive diagnosis is often dependent on cerebrospinal fluid detailed report and its culture by performing the lumbar puncture and Computerized axial tomography (CAT) scan. There are also several tests for its diagnosis such as; meningitis sign test, blood culture test. For its treatment mainly anti-microbial therapy is recommended based on specific causative agents who cause a disease. 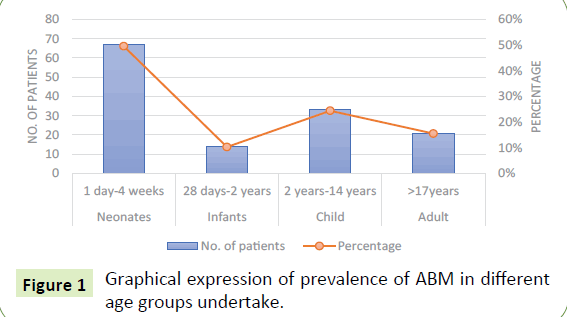 This study was performed to evaluate the incidence, proper diagnosis, management and treatment of ABM in children of various cities of Central Punjab, Pakistan. To evaluate the prevalence of ABM, proper diagnosis, management and treatment of ABM in children age group population complications related to ABM and patients who get vaccine or counseling from health care officers in different hospitals of central Punjab, Pakistan. A retrospective review of medical reports of admitted children from January 2016 to August 2016 in different hospitals of central Punjab was undertaken. These include District Head Quarter (DHQ) Bhimber Azad Kashmir, Allied Hospital Faisalabad, DHQ Hospital Burewala Vahari Multan, and National Hospital Lahore, DHQ hospital Sargodha and Jinnah Hospital Lahore. This study was approved by an Ethical committee of the University of Sargodha under approval number PERC 24. In this survey 135 patients were studied, an inclusion exclusion criterion for our study was totally depends on the signs and symptoms of meningitis. A special Questionnaire was designed which included the patient’s demographic data, clinical signs, and symptoms and medication history. A detailed history and clinical, diagnostic examination of all patients were written on a standard Performa. The patients were divided into 4 age groups; neonate (1day- 2months), infants (28 days-2years), Children (2years-11years) and adults (>17years). Comorbid diseases were also studied as the sequel of acute bacterial meningitis and these are may be short or long term complications related to ABM. Preventive measures adopted for ABM were also evaluated. Statistical analysis of data was done by using Microsoft Excel Version 2013 and SPSS for data interpretation. Prevalence of meningitis in different age groups is shown in Figure 1. The incidence of meningitis was highest in neonates about 67, while the second most prevalent group was children about 33. Its prevalence was lowest among infants. Figure 1: Graphical expression of prevalence of ABM in different age groups undertake. These results of our study clearly indicate that Acute Bacterial Meningitis was more common in neonates than other groups of ages (Infants, Child, and Adults). There was a no significance between different groups value P (P<0.05). Laboratory tests performed for the diagnosis of acute bacterial meningitis in children’s were; Lumber puncture, CT-Scan, BSR, CSF-Protein Test, Blood culture test, Meningitis sign test, CBC. Frequencies of these tests are given below in Table 1. The results of these tests showed that meningitis sign test was performed more frequently than other. Table 1: Different tests for the diagnosis of ABM. The results of the study showed that treatment was not given according to the positive stain test treatment guidelines. Only empirical therapy of antibiotics was given to the patients. Most of the patients are treated with, Ampicillin injection, Ceftriaxone injection, Decadron injection, Vancomycin injection, Syrup Brufen, and Pheno injection. The study results showed that patients with co-morbid diseases were 32 percent. ABM was to be the sequel of cerebral malaria, sepsis, tuberculosis, tetanus, and pneumonia. 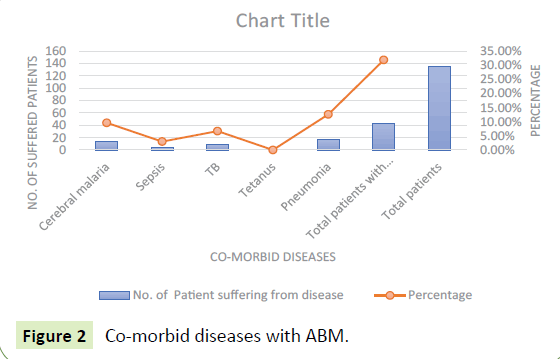 Total patients with co-morbid diseases were 43 (32%) out of total 135 patients as shown in Figure 2. The results showed that reasons of these complications were in lack of preventive measures improper diagnostic approaches and improper treatment which may be the cause of some long and short term complications in children’s. Figure 2: Co-morbid diseases with ABM. Different modes of preventions of Acute Bacterial Meningitis are vaccination and counseling to discharge patients. The study results showed that only 17 patients that received counseling on their discharge from hospital and no-one received vaccination for prevention of ABM. Acute bacterial meningitis (ABM) in children is associated with a high rate of acute complications and mortality, particularly in the developing countries. Most of the deaths occur during first 48 hours of hospitalization. The results of our study showed that the incidence of ABM was highest in neonates which were 50 percent among total patients as the comparison to other age groups which may be due to a weak immune system in the neonates making them more vulnerable to the infection by bacteria or community acquired meningitis. Other possible reasons for high incidence of ABM in neonates may be inadequate attention towards the vaccination of meningitis, less hygiene, and care maintained by parents due to illiteracy and poor socioeconomic state that make the vulnerable to get ABM either as a primary disease or as co-morbid diseases. Our multi-purpose study further highlighted the lack of proper strategies adopted for diagnosis of meningitis in Pakistan. As shown by result only (27%) patients undergo lumbar puncture and subsequent CSF analysis (16%), furthermore, only 38% undergo CT-scan to check inflammation, BSR level checking before lumbar puncture (10%) and blood culture only in 5% patients for confirmation of causative agent shown in. This was due to lack of basic health facilities in Pakistan and meningitis is ignored and misdiagnosed which causes short term and long term complications. As far as treatment is concerned only symptomatic treatment was given which was confused with seizures and epilepsy. The possible reasons for deviation are the low literacy rate, poverty, and low standard of medical health care causing meningitis to be the unidentified and untreated disease in Pakistan, which may be a reason for unawareness about meningitis and its types in our locality. There were also some co-morbid diseases and complications which affected to patients of meningitis and these may be hidden by invaluable tests. If we performed valuable laboratory tests such as CSFlumber puncture tests we can know a number of complications present [3,4]. The diverse study under discussion also lightened the poor portfolio of management and treatment employed for the controlling the disease. Our study showed that the treatment employed was mostly empirical antibiotic therapy and symptomatic treatment as for seizures, high fever etc. whereas no treatment in respect of culture diagnosed causative agent was given and only 5% patients had undergone blood culture test. The probable reason that ABM is misdiagnosed due lack of tests available at hospitals for the disease, symptom overlapping with other diseases so only empirical therapy is given to managing the patient. 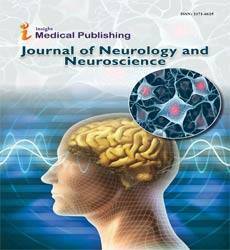 A study carried out by Matthijs Brouwer directed that due to significant morbidity and mortality associated with bacterial meningitis, accurate information is necessary regarding the important etiological agents and populations at risk to ascertain public health measures and ensure appropriate management. This negligence in therapy leads towards further long term complications such as hearing loss and abnormal neurological development. We concluded from our study that ABM is a serious, unidentified, death causing disease in Central Punjab Pakistan with high prevalence in neonate’s improper diagnosis and non-standard management cause the disease to be an economic and social burden on the society by increasing long term complications and increase death rate in children. We recommended that ABM awareness programs should be run and clinical pharmacist services should be provided for counseling to the discharged patients in order to reduce community acquired meningitis. Creating awareness and Prevention of meningitis is recommended in order to decrease the meningitis case through vaccination and immunization. 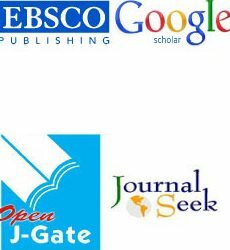 The authors are grateful to Mohsin Sarwar from Monash University Australia (Drug Discovery Centre) for his Supervision and guidance. There is no conflict of any interest. MZZ conceived the study and primary wrote the manuscript. AE and ZA helped to draft the manuscript. KY, SR, UF, HMG, MT and SA collected the patient data from different centres and summarized in a suitable form. MZZ performed statistical analysis. All the authors approved the final version of the manuscript. Jarousha AMA, Afifi AA (2014) Epidemiology and risk factors associated with developing bacterial meningitis among children in Gaza Strip. Iran J Public Health 43: 1176-1183. De Gans, Jan-Van De Beek, Diederik V (2002) Dexamethasone in adults with bacterial meningitis. N Engl J Med 347: 1549-1556. Roca A, Bassat Q, Morais L, Machevo S, Sigaúque B, et al. (2009) Alonso: Surveillance of acute bacterial meningitis among children admitted to a district hospital in rural Mozambique. Clin Infect Dis 48: S172-S180. Quagliarello V, Scheld WM (1992) Bacterial meningitis: Pathogenesis, pathophysiology and progress. N Engl J Med 327: 864-872.